The Pacific Society of Women in Business strives to create opportunities for its members and allies at University of the Pacific. Below is where you will be able to find speaker events hosted by the Pacific SWIB and partners, workshops, community service events, and networking opportunities provided by University of the Pacific, the community, and Pacific SWIB. Our organization stands by providing opportunities for personal growth and career development. Our speaker event series enables the Pacific Society of Women in Business to see how alumni and invited guests have achieved the success in their career today. 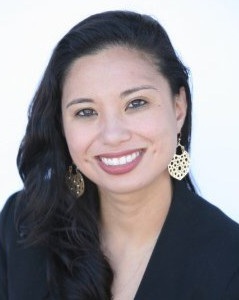 Miljean Young Veloria is from San Jose, CA and graduated from University of the Pacific in 2007 with a double major in International Relations and French. She spent a semester abroad studying and working in Brussels, Belgium where she was selected for an internship at BBC News. Miljean has since explored career opportunities digital marketing, advertising, and business strategy and consulting. She had roles in product management, project management, content creation and search engine optimization and found that she was most interested in analytics, specifically applied to measuring the impact of advertising. Currently, she is a business strategy analyst at YouTube. Outside of her professional life, she recently married her college sweetheart who is also a University of the Pacific alum from the Eberhardt School of Business and spends most of her free time with their furbaby, Frannie. Miljean Young Veloria will be speaking at Pacific on February 8th, 2019 in the Regent’s Room at 5:00PM. Please visit our Facebook event to RSVP. Check out our involvement here! Congratulations to our President, Maria, for her leadership in being a committee member for the first annual Stockton Women’s March! *Events on the left column are off-campus. If you are interested in attending, carpooling may be available, please email pacificswib@pacific.edu with the event of interest as the subject line.